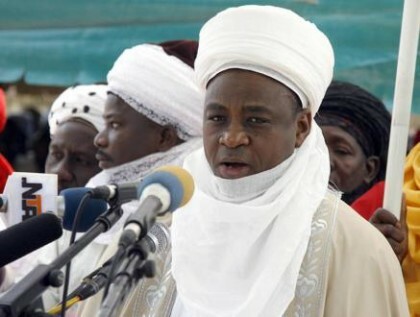 Sultan of Sokoto Mohammed Sa’ad Abubakar the third has canvassed increased support for farmers if the current agricultural revolution for lasting food production by the federal government is to fully succeed. Senate president, Dr. Bukola Saraki says, President Muhammadu Buhari is healthy and there is no cause for alarm. The central bank of Nigeria (CBN) has disbursed the sum of $2.83 billion for utilization in the critical sectors of the economy between December 2016 and January 2017. In a release by the acting director, corporate communications department, Mr. Isaac Okorafor stated that manufacturing, raw material and agriculture among others topped these disbursements targeted at employment generating and wealth creating sectors of the economy. 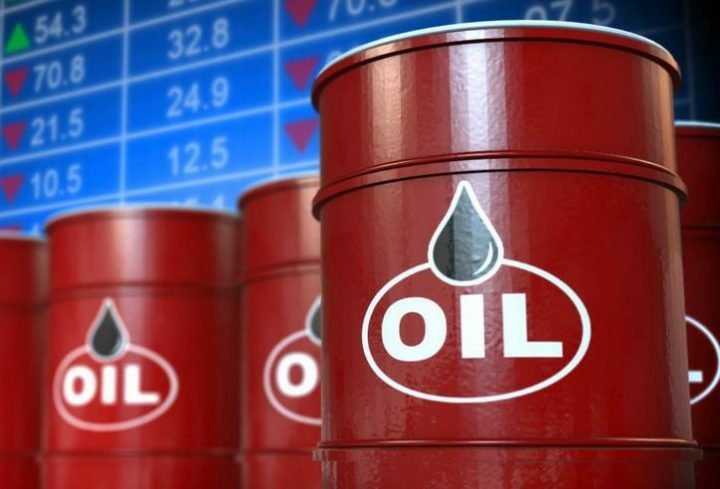 Meanwhile, the sum of $609 million and $228 million were released for raw materials in the months December and January respectively while manufacturing also attracted the sum $53 million and $71 million respectively during the same period. In the foreign exchange utilization figure indicate that the sums of $1.839 billion and $0.989 billion respectively were extended to critical sectors like manufacturing, agriculture, petroleum products and airlines among others in December 2016 and January 2017. Commenting further on the development, the Okorafor, stressed the determination of the bank to continue to ease the foreign exchange pressure on critical sectors. It will be recalled that the CBN in the month of November 2016, supported critical sectors with $1,070,175,392.04 equivalent of foreign exchange for agricultural machinery, industrial raw materials, education and personal travel allowances to source industrial raw materials and spare-parts through the interbank foreign market. Nassarawa state government has commence work on the constructio0n of the Lafia cargo airport. Governor Umaru Tanko Al-Makura Sayss the project which will be in phases, when completed will service as alternative to the Nnamdi Azikiwe international airport Abuja. A 24 member national road safety advisory council has been inaugurated by the federal government in line with the united nations resolution towards improving global road safety and a demonstration of commitment of the federal government in addressing road traffic accidents and security of lives. Senate committee on industry has requested the minister of industry Okechuku Enelame to appear before it in person instead of sending representation to the 2017 budget defense. Broadcasters including the Nigerian television authority henceforth be responsible only for content of their broadcasts, while signal distributors will be responsible for transmission of the content. This key distinction was made by minister of information and culture lai Mohammed during a public hearing on the process of digital broadcast switch over. Immediate past force public relations officer and now commissioner of police, Akwa Ibom state, don Awunah has urged Nigerian media to partner with the police in carrying its agenda of democratic policing. Mr. Awunah stated this at the formal handing over to the new force pro, Moshood Jimoh. The federal government has reiterated its commitment in addressing challenges confronting women and girls in the country. Minister of women affairs Aisha Jummai Alhassan stated this during the 2017 women and girls summit in Abuja. Information and culture minister, Lai Mohammed is advocating more funds for the ministry to the enhance productivity in the sector especially for the grass roots public enlighten for more commitment to national development. There is no going back in the introduction of computer based tests for candidates seeking admission into higher institutions across the country. The registrar, joint admissions and matriculation board, jamb, professor Ishaq Oloyede stated this in a 2 day retreat for stakeholders in the education sector held in Abeokuta, Ogun state. Jacinta Okorie wins first medal for Team Nigeria at the ongoing 2017 Africa Continental Cycling Road Race Championship in Luxor, Egypt. She finished 3rd to win the bronze medal in the Individual Junior Girls category. The Senior Boys and Girls will race on Thursday in the Individual Time Trial while the Road Race comes up on Saturday for the females and their male counterpart race on Sunday. The result means the north Londoners need something of a minor miracle to advance, with it looking increasingly like Arsenal will be dumped out of the competition at the last 16 stage for the seventh season in a row. Real Madrid came from a goal down to beat Napoli in the first leg of their Champions League last-16 tie. Napoli will host the second leg on 7 March, with a place in the quarter-finals at stake. Osun state government will commence periodic census of cattle and herdsmen in the state as part of efforts at ensuring better relationship between herdsmen and farmers in the state. Governor Rauf Aregbesola said this at a rice farm co-sponsored by the state and the federal government.